Located in Houston, TX, we are your local, comprehensive dental solution for the entire family. Memorial Dental Care and Orthodontics can help you begin your journey to a healthy, beautiful smile. With our convenient location in Houston, Texas, we are your local family friendly dental office, proudly serving the local communities of Memorial, Memorial Park, Piney Point Village, Energy Corridor, Katy, Cinco Ranch, Northwest Houston, Houston, Nottingham Forest and more. We manage everything from your family’s checkups and cleanings to simple restorations, orthodontics, root canals, oral surgery, Zoom whitening and implants, so you rarely need to be referred out of our office for treatment. What’s more, all our treatments are provided by our skilled dentist, Dr. Cameron Wallace. Dr. Wallace’s mission is to provide the most comprehensive, compassionate care using the best materials and latest technology. 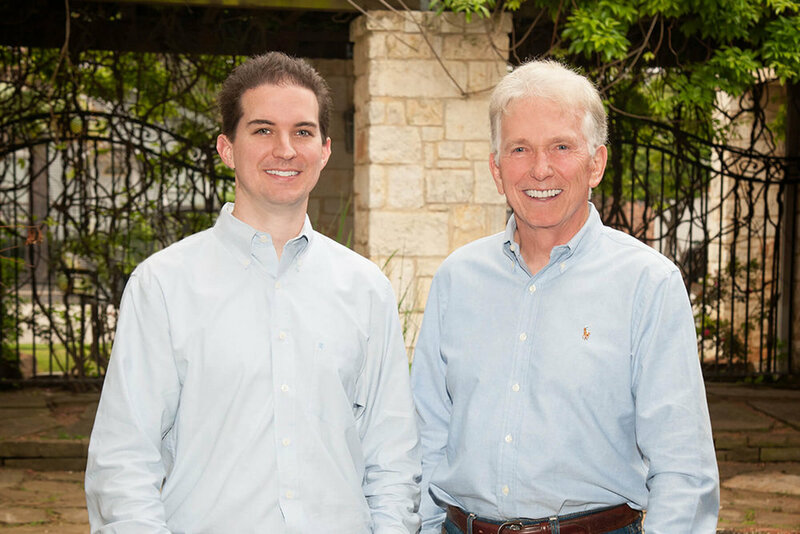 Most of our team has been together for over 25 years and we strive to build the same long-lasting relationships with our patients. We provide quality dental care, conveniently in your neighborhood and catered to your schedule. Keeping your comfort in mind, we also offer all our services in updated treatment rooms where you may enjoy blankets, stereo headphones, sunglasses and other luxuries that ensure you’re relaxed and calm. Our treatment rooms are well lit with natural light and most have views of our landscaped courtyards. Sedation dentistry is available for our patients with dental anxiety and phobias. Whatever your dental needs, come visit us for the kind of quality, convenient care that means healthy teeth and gums and beautiful smiles! Memorial Dental Care in Houston, TX offers restorative dentistry options that perfect your smile & restore your confidence. Orthodontics can be tailored for nearly any age. Dr. Wallace provides the best treatment path with a perfect finished smile. Dental implants bring the ultimate solution for missing teeth. Dr. Wallace brings his expertise to direct your implant case. Dr. Cameron Wallace earned his bachelor’s degree in Entrepreneurial Management from Texas Christian University in Fort Worth, TX. In 2008, he received his Doctor of Dental Surgery degree from Baylor College of Dentistry in Dallas, TX. "Very professional and gentle. The staff is very accommodating and the office is very stunning and clean. Thank you guys for making my experience at your office a positive one." "My family and I love coming to the dentist office. The staff here is great. Everyone is friendly and take care of all your dental needs." SCHEDULE AN APPOINTMENT WITH DR. Wallace TODAY!